Going somewhere? Picking the right travel shoes is essential to making your vacation the best ever. You have spent too much time and money planning your trip to let bad shoes and tired feet ruin it. Most travel shoes promise durability, but they end up bulky and heavy. In addition, most travel shoes are flat inside, which means they can not properly support your feet on those long days. What if there were perfect travel shoes that could pack easily and offers versatility from city streets to the mountainside? Imagine complete comfort with a travel shoe that custom molds itself to the contours of your feet, feeling as perfect as a glove. KURU is the perfect travel shoe due to our patented KURUSOLE™ technology. This powerful technology uses your body heat to custom mold to your unique foot shape. In so doing, you get exceptional comfort for those long days on the other side of the world. With KURU, you can go longer on your next trip while virtually eliminating the risk of foot health issues. THE SECRET OF KURU TRAVEL SHOES? 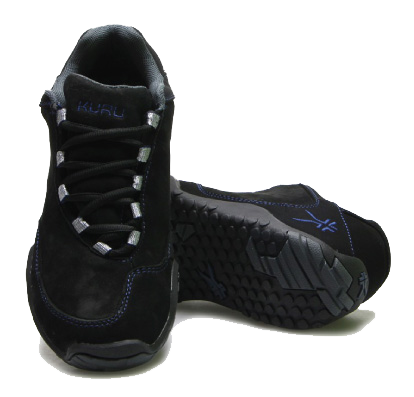 KURU travel shoes get you the world’s most comfortable travel shoes with the stability and support to take you anywhere. It's no wonder more experts recommend KURU travel shoes. KURU's technology is different from any other travel shoe. Our patented KURUSOLE™midsole includes a space-age orthotic directly molded into the footbed. This orthotic magically flexes inward to cup your heel with every step. This flexing creates a hug for the natural fat pad under your heel, offering unsurpassed comfort for all day wear. But we didn't stop there. On top of the KURUSOLE™ is a unique, heat reactive foam that uses your body heat to molds to your unique foot. In terms of comfort (and uniqueness), they are an exceptionally good travel shoe". No matter where you go, KURUSOLE™ technology gives you total support and perfect comfort. Every KURU shoe is designed around the shape of the foot, which feels better all day long. With KURU, you get superior travel shoes that will help you feel better as you crisscross the globe. Those who travel often know exactly what to look for in a travel shoe. Lightweight and durable, KURU shoes live up to the hype. Whether you are hiking over the rockies or exploring rain forests, KURU’s quality materials are meant to last. KURU shoes are the #1 travel shoe out there. You will have energy to spare as your travel shoes go wherever your feet take you! Go ahead, hike up that trail or explore that quaint cobblestone street. Simply live your life to the fullest for a new level of travel bliss. More energy to feel better.